You can earn 1996 yards with this purchase! 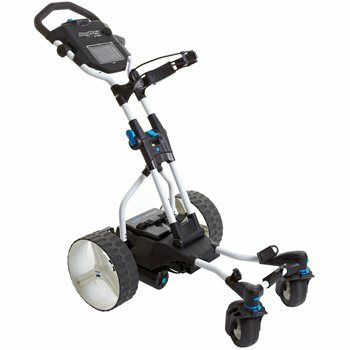 The BagBoy Navigator Quad is the ultimate electric cart that features new super compact 4-wheel engineering with front swivel wheels. The full direction remote control allows for left, right, forward and reverse speed control. The Navigator Quad also features an advanced digital electronic screen with full color display that shows speed settings, battery level indicator and other features. It is powered by a Lithium ion 12v 24 amp battery for long charge life.